WyzMindz believes in approaching things differently from traditional Managed Service providers. Flexibility, customization, transparency, and the spirit of challenging convention are at the core of the company. We believe in explaining not just how we price our services but also why. Transaction Based Pricing: Per Unit of Services e.g. per forecast, per report etc. 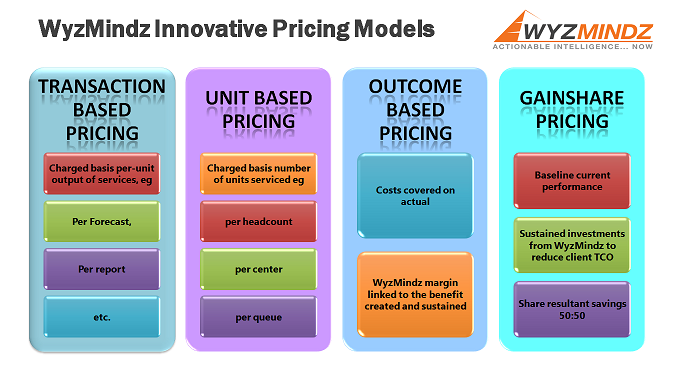 Unit Based Pricing: Per Unit Serviced e.g. per employee, per process, per branch or center etc.